It’s a little ironic that though I tend to be a bit picture kind of guy, it’s hours and days I’m more interested in than months and years. What’s happening down the road doesn’t really concern me. What’s happening now does. This is why I tend to pay much more attention to my watch than my calendar. This is also why it’s a good thing God made department stores. Otherwise, I would not know what holiday is upon us. The department stores here say that Halloween will be soon. There are costumes and candy and ghouls and, even, greeting cards. You know you’ve arrived as a holiday when you get your own greeting cards. Halloween is getting big. And I think it should be big, if for no other reason than it focuses upon one of the great issues of our lives. In the interest of writing-frees-the-soul, I can confess that I normally do not talk about my fears. I’ll even go so far as to say that I go to certain lengths to maintain the lie that I do not have any. I do have fears. Many, in fact. And I don’t care who you are, how tough you happen to be, or how much faith you have, you’re scared of something, too. However. The thing about fear is that it’s often a very big shadow of a very little thing. Dragging it out into the light and seeing it for what it is can be a liberating experience, or so I’ve heard. So it’s along those lines that I will blaze the trail for anyone else who might read this and admit those things that send a shiver up my spine and force me to sleep with the light on. Ghosts? Ghosts don’t bother me. And I laugh at monsters. Vampires run from ME. But zombies freak me out. I think it’s the slow but steady movement. Zombies are patient, and I don’t understand patience. Honestly, the whole taste for human flesh thing doesn’t really bother me as much as the ratty clothes, the pale skin, and that “AAAHHHH” sound they make. Zombies are the worst creatures in the world. I don’t care who you are, if you turn into a zombie and come at me, I’ma killin’ you. 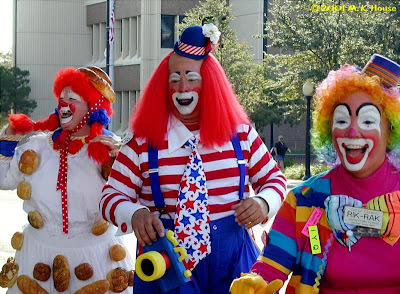 The fear of clowns is shared by so many people that it actually has a clinical name—coulrophobia. Stephen King wrote about Pennywise the Clown in It. John Wayne Gacy, one of the worst serial killers in history, dressed as Pogo the Clown for children’s birthday parties. And who can forget Crazy Joe Davola on Seinfeld? He dressed as a clown, too. And he was crazy. 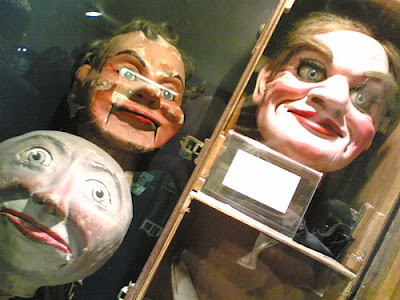 When I was a kid I dreamed that I got a ventriloquist dummy for Christmas, but instead of using it, it put me on it’s knee, shoved a wooden hand up my back, and took me on tour around the country. He kept me in a small wooden steamer trunk and all he’d give me to survive on was Nilla Wafers. I’ll never forget that dream. And to this day I can’t eat Nilla Wafers. Nuff said. Those of you who have never seen the movie Maximum Overdrive may not truly appreciate how utterly mortifying ice cream trucks are. As much as I believe Stephen King to be a genius, he’s ruined more than one seemingly innocent thing for me. This is one. There’s an ice cream truck that drives around our neighborhood in the summer (blaring Christmas music, by the way), and every time I see it I make a hasty yet dignified retreat back into the house. This, by the way, is not that ice cream truck. 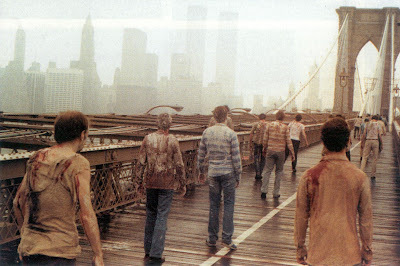 I get too shaky to take a picture of it, so I borrowed this shot from the movie off the internet.Yes, I know this one may be a little stupid. No, I don’t care. Ice cream trucks are evil. You’re just gonna have to trust me on that. So there you go. All my fears laid out for your reflection and mockery. I figure I’m good so long as I never run into a zombie clown whose ventriloquist dummy is driving an ice cream truck sporting a doll as a hood ornament. Chances are that won’t happen. 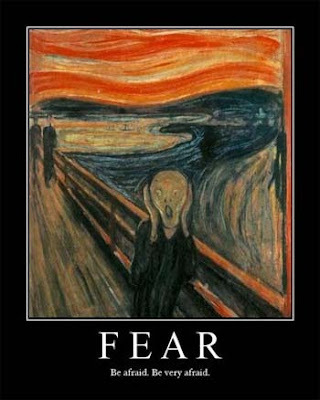 But I figure most fears are like that, anyway. 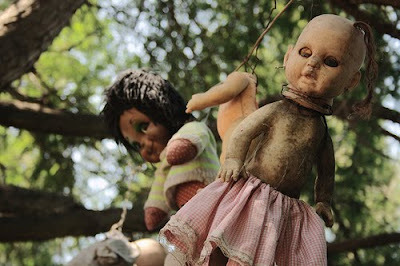 To read more from Billy Coffey or to hyperlink pictures of zombies, clowns, ventriloquist dummies, dolls and/or ice cream trucks, visit him at What I Learned Today and follow him on the twitter at @billycoffey. My 8-year old daughter informed me last week that she wants to dress as a devil cat for Halloween. What’s a devil cat? I have no idea. But it sounds sort of slutty to me, so she will most likely NOT be dressing as a devil cat. Did I miss something? 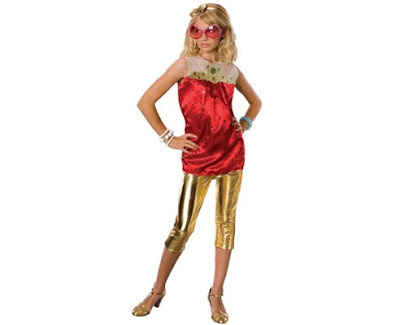 Since when is it acceptable for pre-pubescent little girls to dress like hookers? Or as Erin, winner of my first ever Super Skanktacular Saturday Giveaway might call them, Prostitots? 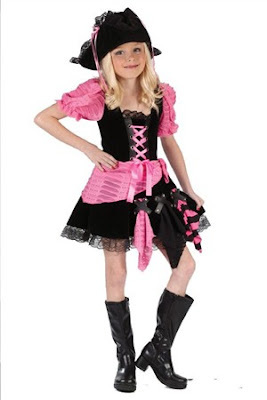 But here’s the thing – if you don’t want your daughter to dress provocatively, man up and put your foot down. Don’t give in to their incessant whining. Just say no to skanky kids costumes. Update: This year, my daughter chose to be a “goth vampire”. Which is basically a long burgandy and black dress. I’m very happy. Anyone dressing up for Halloween this year? What are your kiddos going to be? My friend Matt Appling posted an interview with Billy Coffey over at his blog, The Church of No People. He asks some not-so-typical questions. You can find the interview here. Halloween night is usually a busy one at my house. From the time the porch light goes on until the time the candy runs out, there will be an average of 160 ghosts, witches, Hannah Montanas, and ninjas walking up the driveway. Not kidding. Kids take Halloween seriously around here. The rush is generally concentrated between the time we get home from our own trick-or-treating until around 8:30, at which time either all the children’s bags are full or their parents are out of patience. There are always a few stragglers of course, mostly the teenagers who are too old to want to be seen begging for free candy but too young to pass it up. But even the stragglers are done by 9:30. I’ve never had a trick-or-treater knock on my door past that time. Until Logan, anyway. He knocked on my door twenty hours later. Wife and kids were gone, which had left me in the enviable position of having both the television and the house to myself. I had just settled in to a riveting football game when I heard footsteps on the porch, followed by a soft knock. Standing at the door was a pint-sized T-Rex. Styrofoam teeth jutted out from his head, and a long tail stretched all the way to the steps. Very impressive. “Trick or treat!” the boy said again. He held out an orange plastic bag and shook it twice for effect. “It’s not Halloween,” I said. This, I decided, was a new low. Not only did I probably give this kid a handful of candy last night, now he was back for more. “Didn’t you get enough last night?” I asked him. He wrinkled his brow at that, as if he were trying to decide if that was a compliment. “Nuh-uh.” He shook his bag again—please? “You didn’t go trick-or-treating last night?” I asked. I glanced out toward the driveway. Mommy stood at the end and rested an elbow on our mailbox. She gave me a wave and a what-was-I-supposed-to-do? shrug. He opened his bag for proof—two candy bars, a pencil, some glue, and a five dollar bill. The only candy left was the bounty my kids had secured the previous night. While it was entirely within my bounds to confiscate a few pieces here and there for my own use, I didn’t really feel right giving Logan any. In the end I came up with a small spiral notebook, two AA batteries (every boy needs batteries for something), a baseball card, and an arrowhead I had found near the creek. “There ya go,” I said, emptying it all into his bag. 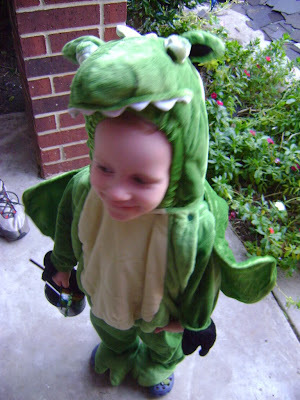 Logan the tiny T-Rex bounded back down the driveway to his mother. We exchanged a wave and another shrug, and I stood and watched as he knocked on the door of the house across the road. Do-overs. Logan was right, they’re the best. A way to erase all the bad and make some good in the process. His mom, however, was wrong. Do-overs are more common than she thought. Every day is a do-over, I think. A chance to right the wrongs of the day before, to be better and love more and reach higher than the day before. Few things in life have brought me more comfort than that fact. That no matter how dark my night may be, daybreak will come. To read more from Billy Coffey, visit him at at his new website and follow him on the twitter at @billycoffey. As a very special, spooky Halloween treat, I’ve invited Beck from Toad and Frog are Still Friends (Profile: I’m a stay-at-home mom who likes to write! I know! I’m a delicate, unique snowflake!) to guest blog for me today. She has a gift, you see. A gift for taking beloved children’s stories and making them scary. 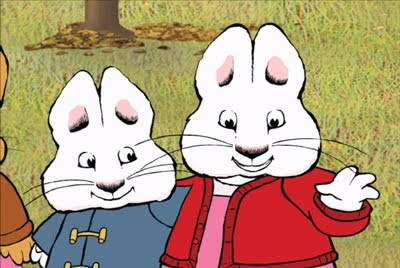 I was really hard pressed to choose just one, but having suffered through countless episodes of Max and Ruby with my daughter, this one is sort of my sentimental favorite. Once there had been a mother. He remembered her, a bit – her breath that smelled like communion grape juice and cigarettes, her harsh laugh and her sudden rages, the way he was frightened and small and hiding underneath his bed, in his tent, under the slide at the playground, hiding from her giant hitting hands and her loud voice. Ruby made her go away. He didn’t remember much of that night – nothing much more than Ruby giving him warm funny tasting milk at bedtime and then his sleepy awareness of raised yelling female voices and a sudden loud noise and then silence. Then he woke up the next morning to Ruby bright and extra cheerful and the kitchen extra clean and a new vegetable garden in the backyard. He likes working in the garden. He likes putting his hands in the dirt, likes watering the fat jolly vegetables. Ruby smiles and brings him lemonade and they have picnics for lunch and sometimes he sits on the swing even though the swing is getting smaller and smaller all the time. He keeps forgetting to ask Ruby about the shrinking swing. He forgets sometimes that Grandma went away a long time ago and finds himself standing in front of her house where strangers live now. He forgets that Mom went away, too, and hides under the piano bench, hides under the front steps, until Ruby lures him out with gummy worms and trips to the ice cream store. He remembers that sometimes, the way he remembers the surprising bits of red in the kitchen, the loud sound, his mother’s sharp breath and giant hurting hands. But then it’s time for a picnic and the sun is bright and it’s time to work in the garden again, their special garden where the vegetables come up so big and ripe. For more children’s stories turned spooky including Clifford the Big Red Dog, Arthur, Winnie the Pooh, Pippi Longstocking, Scooby Doo, Franklin, Berenstein Bears and Goodnight Moon, check them out HERE. 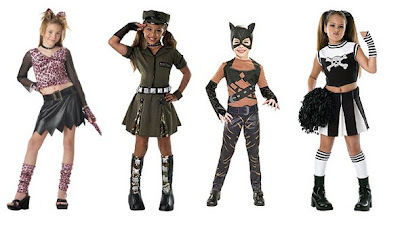 Halloween Costumes or Prostitots-in-Training Wear? A repost of something that has appeared on this blog previously, typically something ridiculous. Because I’m all up in ridiculous. I’m going to do a bit of undercover investigating around the neighborhood. Christmas will be here sooner than you think, and while I will give out wonderful homemade candy to many of neighbors, the giver of this little Halloween trinket will be re-gifted a small, beautifully wrapped box with a card that simply says: “Feliz Navidad”.